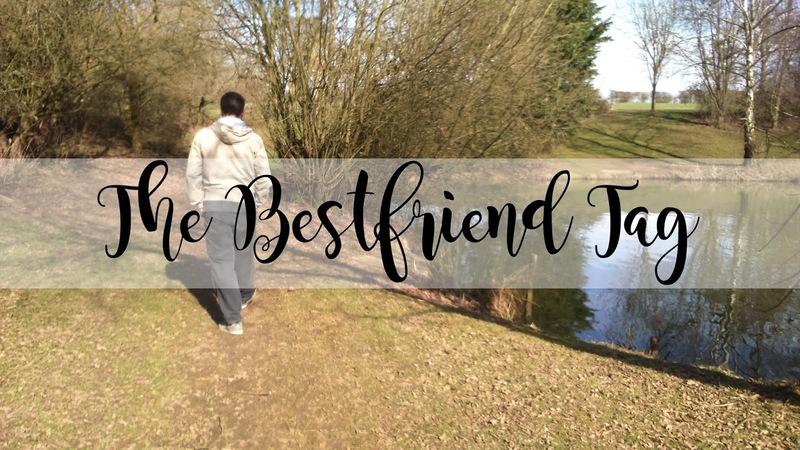 I decided it was finally time to do the best friend tag with my boyfriend now that he knows about my blog! I will admit, my boyfriend is my best friend and he always will be. He'll always be that one person who knows absolutely everything about me and I can tell him everything as well. I used to have a best friend throughout high school and to be honest, I do prefer having my boyfriend as my best friend. I have to say this tag went very well and he was able to answer everything perfectly! At Luke's work when I was trying to get a job, back in September 2014. What was your first impression of him/her?Luke thought I was very quiet and shy, I didn't seem very interested in anything, very laid back! I thought Luke was gorgeous and was determined to find him on Facebook to message him! What’s your favourite memory together?Our first holiday together in Dorset! Describe each other in one word.Luke called me peculiar and I think he's weird. My feet are a 7, I have massive feet for a girl! Luke's are a 10. List three items that he/she always carries with him/her?Luke will only carry three items with him which are his phone, keys and his wallet. I however will take with my my bag, water and chocolate. However my bag will include all the essentials! Favourite inside joke?We actually don't have one surprisingly! If you were ordering a pizza for him/her, which toppings would he/she want?Definitely a meat feast! Whats their favourite food?Mine is Pizza and Luke absolutely loves chicken! What is their favourite ice-cream flavor?Luke really likes vanilla ice cream, however I will always go for chocolate brownie. Whats their favourite Music Artist/Band?Luke isn't really a music person which is so frustrating! I love all music though! What are his/her favourite movies of all time?Luke will forever and always love Batman! But Letters to Juliet rules my heart. On a free day, he/she generally: a) Sleeps late b) Gets up at a normal time c) Gets up earlierI would either get up earlier because I struggle to sleep, or we both get up at a normal time! What does he/she likes and dislikes?Luke absolutely loves Marvel, but he hates watching Chick Flicks and won't watch any with me! I can't even share a dvd shelf with him if I have chick flicks. However, I love chick flicks, and I don't like slow drivers! What are his/her strengths and weaknesses?Luke's strength is remembering numbers, it's absolutely crazy what he is capable of remembering and his weakness if probably Dr Pepper! He can't go a day without it. He also said my strength is having a high tolerance for children. I work in a school because I love children whereas Luke definitely does not have the patience for them. My weakness is being tickled! Neither of us having any phobias thank god! Do you have nicknames for each other?Oh so many! we call each other chuff or chuffer. But we also spontaneously call each other cherry pie, sugar puff, sugar, sweet pea, sweetheart, sweet, etc etc. The list goes on. Two things your best friend doesn’t know about you.Luke doesn't know the name of the disease in my knees and I didn't know how many bones he had broken. To be honest, apart from that we know everything about each other. What do you admire most about your best friend? The most crazy thing is, we both looked at each other and said "I like your face"
I hope you enjoyed reading the best friend tag with my boyfriend! Let me know if your best friend knows everything about you!